This show is designed to be both an entertaining theatrical experience, and to encourage people to engage with the issue of human trafficking. The aim is to move audience members, spurring them to take action by working with human trafficking organizations & fairtrade groups. 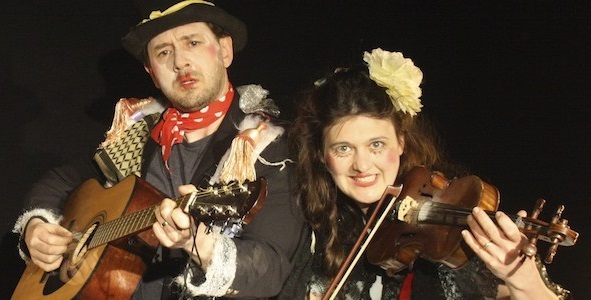 Mike and Becky Peacock, who are Rhema Productions, regularly perform in Arts Centres, Churches and Secondary Schools, so did it live up to its billing? Rhema Theatre Company founders Mike & Becky Peacock and International Justice Mission (UK) have partnered together to create a unique theatrical experience.